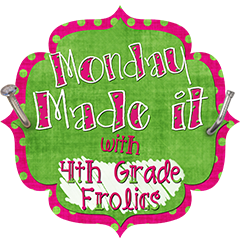 Today I am FINALLY linking up with Tara from 4th Grade Frolics for her Monday Made It linky party. I finally got a little productive last week and had the perfect project ready to link up but then SCREECH (imagine hearing me slam on the brakes) change of plans. Last night I joined Farley's Currently Party and that changed EVERYTHING. On my list (click here to see my post) I mentioned wanting an ice-cream sandwich sundae. Several people commented on this so last night I HAD to make one so I could share it with my blogging friends. So here is my Monday Made It. I got this genius idea from Stephanie's blog Falling Into First near the end of the school year. My kids loved it so much and it was so super duper easy (click here to see my post). I've been a little obsessed with them ever since then. Like I've said, I'm never scooping another bowl of ice-cream in my classroom again. My kids loved it!! Some of the kids didn't want any toppings and were perfectly happy to enjoy just the sandwich which was fine (more left overs for me to take home and use during the summer). BTW Publix has the Fat Boys brand on sale BOGO until Wednesday - - I'm just sayin'. The plans for my very first giveaway are almost set. Be sure to check back later this week to check it out. I promise, you won't be disappointed. Until then hop on over to join Tara's Linky Party. I'm off to see all of the great ideas. SHINE on everyone! You ice-cream sandwich sundae is making my mouth water. It looks fabulous! Fantastic Idea! I remember one event I tried to scoop ice cream that was still hard, so I completely gave up on ice cream, parties. This would be so much better to do! Yum! Those would be so easy to make in the classroom as well, instead of dealing with half melted ice cream! Love it. Thanks for sharing! what a great idea. I never would have thought of that. Tasty idea! I love it! This will be my "go to" for classroom rewards on hot days! That looks so yummy!! Not only perfect for the classroom but also for the 4th of July cookout I'm going to on Wednesday!! Thanks for the idea! Super awesome and not as messy as what I've been doing for years. My kids would love this! Thanks for sharing. Ok that's mine... where is yours? Yummo!! Looks like a great treat!! Thanks for introducing me to these delish looking little bits o' heavan! I know my kids will enjoy them as much as me!!! 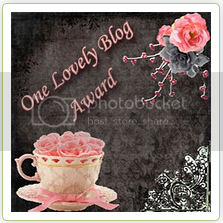 I'm your newest follower and I've given your blog some awards. Stop by my blog to pick them up. I am your newest follower. I am going to the store right now, don't care if it's early. I am having one of those for breakfast. Thanks for sharing. I am having a 4th of July giveaway of my K-2 journal/notebook printables and would love if you would stop by!! Looks delish!!! I love your blog make-over!! Is Jena incredible or what!! 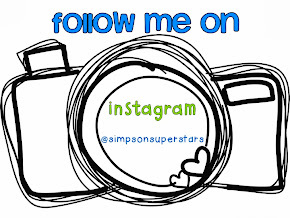 I am now a follower!! 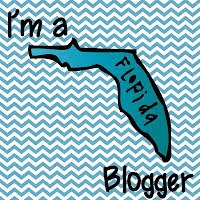 Thanks for showing this blog newbie some love!! I love your blog! I just wanted to let you know I nominated you for the Versatile Blogger Award. 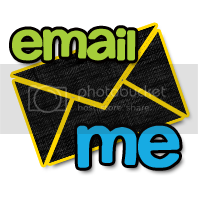 I have given you an award, come on over and check it out!